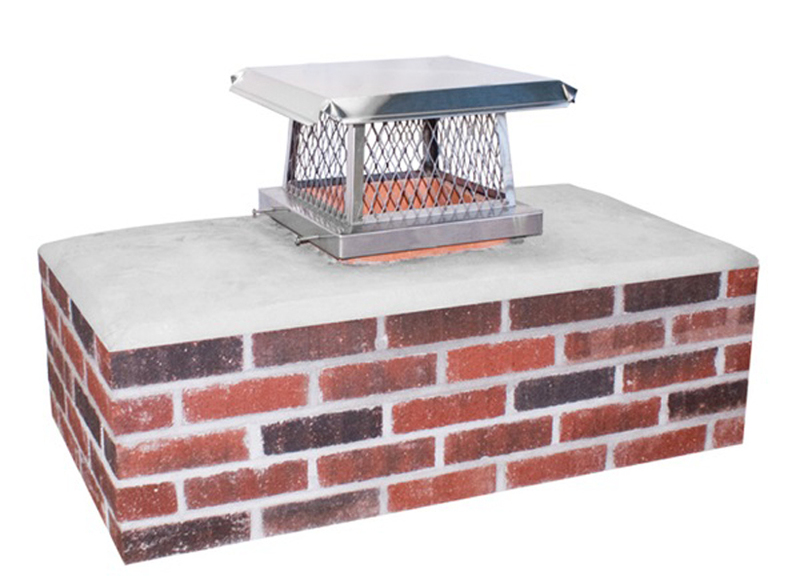 Protect your chimney with a single flue, bolt on chimney cap. These quality caps are constructed of 100% stainless steel and feature 3/4 inch mesh and 8 inch screen height. Flue caps adjust to fit 2-1/2 inch of flue deviation. 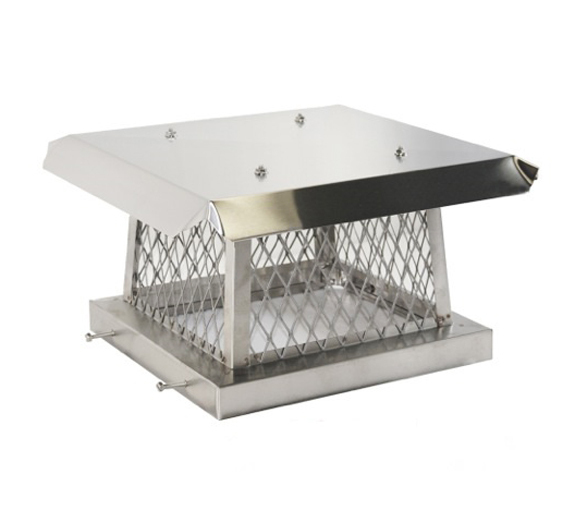 Usage: Use on 8×12 / 9×13 inch flues or mount on the 8×12 inch Boost-a-Cap BAC812. Dimensions: Base O.D. = 10×14 inches; Lid Size = 16×20 inches; Fits flue sizes = 8×12 to 9.5×13.5 inches. Notes: Bolt on / adjusts to fit 2-1/2 inches of flue deviation.